The Bench comprising Justice AK Sikri and Ashok Bhushan also requested the Delhi High Court to adjourn the proceedings listed before it, while posting the case for hearing after two weeks. The plea has been filed by leader of JD(U) in the Rajya Sabha Ram Chandra Prasad Singh, who was represented by Senior Advocate Ranjit Kumar and Advocates Gopal Singh and Manish Kumar. Mr. Yadav was a Member of Parliament and the General Secretary of JD(U), but was disqualified from the membership of Rajya Sabha by Vice President M.Venkaiah Naidu, in his capacity as the Chairman, Rajya Sabha, under the Anti-Defection law. It was alleged that by his repeated conduct, public/press statements against the JD(U) and its leadership and openly aligning with a rival political party, namely, the Rashtriya Janata Dal, he has voluntarily given up the membership of the party. More specifically, he was disqualified under paragraph 2 (1) (a) of the 10th Schedule of the Constitution of India read with Rule 6 of the Members of Rajya Sabha (Disqualification on ground of Defection) Rules,1985. He had then challenged this decision before the Delhi High Court. The petition now impugns an interim order passed by the Delhi High Court on September 11, when the High Court dismissed Mr. Singh’s application to place additional documents and material on record. The High Court Bench comprising Justice Hima Kohli and Justice Rekha Palli had rejected the application on the ground that the documents pertained to Mr. Yadav’s conduct subsequent to the filing of the application— submissions which the Court did not think necessary to take into consideration. 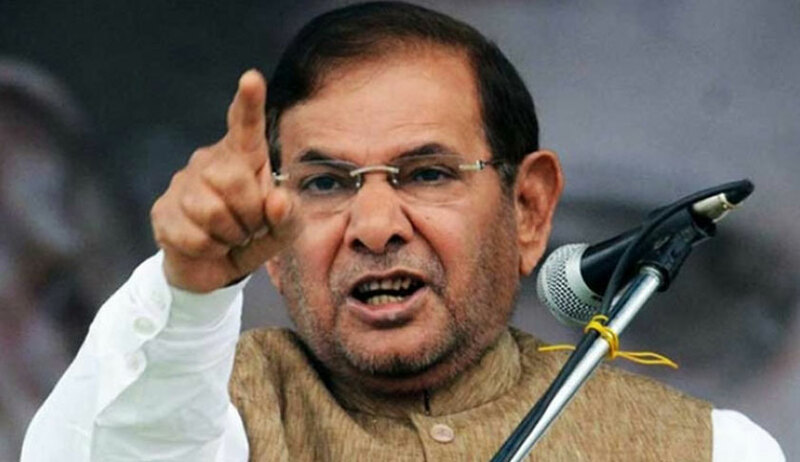 Mr. Singh, however, claims that these additional documents establish beyond doubt that Mr. Yadav formed another political party after having voluntarily given up his membership of JD(U). His subsequent conduct, he asserts, is germane to the dispute and establishes the falsity of his claim that he continues to be a party member. He explains that the documents sought to be submitted are merely copies of public utterances which have been culled out from his own speeches and press clippings, showing his active participation and patronizing the launching of a new political party by his followers. “The facts and material in the application corroborates the averment of the petitioner that the respondent has taken conclusive steps which establish beyond doubt that he has voluntarily given up his membership of the political party and thus defected for which he is liable to be disqualified under the 10th Schedule of the Constitution of India,” he asserts. Mr. Singh further points out that even if the writ petition is allowed in Mr. Yadav’s favour, his conduct during the pendency of the petition may not be a ground to file another application for his disqualification. He then asserts that the High Court should have kept the application pending till the disposal of the petition and should have decided its relevance after hearing final arguments of the parties. The petition therefore challenges the impugned interim order, and demands a stay on it during the pendency of the petition.